Research, teaching and service in the public interest – that’s what drives UC San Diego’s Division of Social Sciences. We do the science of society. We focus on some of the most pressing and important issues of our time (most of the time). We do things a little bit differently, and we make a big difference. That’s for sure. There are 15 departments and programs that make up the Division of Social Sciences at UC San Diego. Together, we do work that matters, now and for the long term. Founded in 1986 with the goal of increasing interdisciplinary collaboration, our division celebrates diversity of ideas and of peoples. We take seriously our mission to educate citizens of the future. We are committed to serving society. 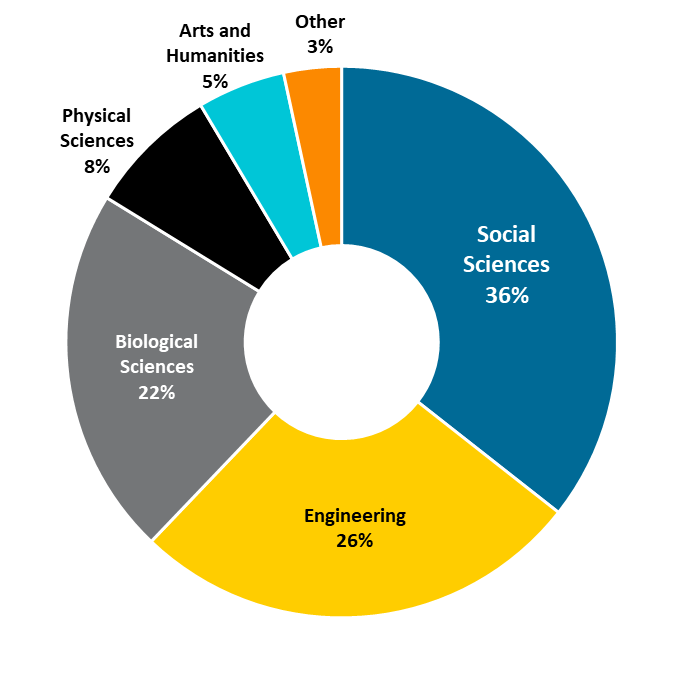 Nearly 40 percent of all undergraduate degrees awarded at UC San Diego in 2017 were in the Social Sciences. Faculty members have included three Nobel Laureates and six MacArthur “Genius Grant” winners. Our students and faculty have connections to almost 500 community programs in Southern California and beyond. Our Department of Cognitive Science was the first of its kind in the world. The Department of Ethnic Studies was the first in the country to study race and ethnicity comparatively, relationally and globally. In the San Diego region, 15 current and former school district superintendents are UC San Diego alumni – nine of whom are Education Studies alumni. One of the longest-running primate studies on record, focused on baboon society in Kenya, is headed by a professor of Anthropology. A UC San Diego sociologist was part of the Ford Foundation project to revive the discipline of sociology in China. Learn more about all our degree programs and research centers.